Dentist-dispensed and OTC home-use products. Your New Year's resolution may be to finally correct an abnormal bite caused by an injury, thumb sucking, tooth crowding or crooked teeth. Correcting any of these problems with braces not only enhances the look of your smile but also, and most importantly, improves your oral health. There are several options for straightening your teeth. Which orthodontic method you choose depends upon your preference and the types of appliances offered by your dentist or orthodontist. The holiday season has arrived and your calendar is filling up with obligations. But, even though your time is already limited, it might be worthwhile to add a few dental appointments to your schedule. Give yourself the gift of good oral health this season while making the most of your unused insurance benefits. Did you know that you could actually save hundreds of dollars by using your dental benefits before the end of the year? While some dental insurance plans run on a fiscal year, most run on a calendar year. Many dental insurance plans are just sitting there with benefits unused and go to waste as soon as the clock strikes midnight December 31. You might save a significant amount of money by taking care of these appointments now, instead of waiting until 2014. Dental insurance companies count on making millions of dollars off of patients who never use their insurance benefits because unbeknownst to the consumer, many of these plans provide coverage up to a certain dollar amount annually. But insurance companies certainly aren’t going to encourage customers to use benefits, and most patients are too busy to sift through their policies to determine what might remain on them. So it’s up to consumers to check to see what benefits they have remaining before year end. If you are unsure, contact your dentists office and they will usually be able to assist you in obtaining this information. The deductible is the amount of money that you must pay to your dentist out of pocket before your insurance company will pay for any services. This fee varies from one plan to another and could be higher if you choose an out-of-network dentist. However, the average deductible for a dental insurance plan is usually around $50 per year. Your deductible also starts again when your plan rolls over. Many dental insurances provide little to no coverage until you spend a certain amount out of your own pocket – your annual deductible. If you’ve used your insurance at all this year, you’ve probably made some progress towards meeting that deductible. In fact, you may have already met it completely. With dental insurance, the annual maximum is the limit on how much the dental insurance plan will pay for your dental work within one full year. This amount varies by insurance company, but the average is around $1,000 per year, per person. The yearly maximum usually renews every year (on January 1 if your plan is on a calendar year). If you have unused benefits, these will not rollover. If you are paying your dental insurance premiums every month, you should be using your benefits. Even if you don’t need any dental treatment, you should always have your regular dental cleanings to help prevent and detect any early signs of cavities, gum disease , oral cancer, and other dental problems. Furthermore, addressing dental problems now rather than putting off treatment can prevent the problems from getting worse, which could save you even more money compared to waiting. By delaying dental treatment, you are risking more extensive and expensive treatment down the road. What may be a simple cavity now, could turn into a root canal later. Call your dentist and schedule an appointment to use those benefits. Another good reason to take care of medical and dental work now is to spend any remaining balance in your flexible spending account (FSA). This is an account that you establish through your employer, and that you may have elected to have some of your pre-tax pay put into. If you don’t use all of your FSA contributions by the end of the year, you lose them. There are many ways of addressing dental needs now, instead of waiting until next year that can save you money. Check with your insurer to see what benefits you’ve used, and what you still have available for the year. Also, check your FSA balance. Then make sure to take full advantage of your benefits before January 1. Dental health is more important than most people realize. And nutrition plays a big role in this. Want to know what to eat to keep your teeth and gums strong? Chew on this. Our teeth may be small. But they, and our gums, are a lot more important to our health than many of us realize. Not sure how many teeth you have? Go ahead, do a quick count. We need healthy teeth and gums to eat nutritious foods. And we need to eat nutritious foods for healthy teeth. As children, our diet influences how our teeth develop. And once we’re grown, with all teeth in place, what we eat plays a role in maintaining dental health. If we don’t take care of our teeth and gums, we risk tooth decay, gum disease, and even bone loss. Meanwhile, the state of our teeth and gums can often signal systemic problems, including cardiovascular disease, celiac disease, diabetes, sinus infection, rheumatoid arthritis, irritable bowel disease, gastroesophageal reflux, alcoholism, and more. In fact, your dentist can sometimes diagnose these conditions before your doctor! If our eyes are a window to the soul, our teeth and gums are a window to our bodies. A cavity is a hole in the tooth’s enamel. Up to 90% of school children and the majority of adults have at least one cavity. If you want inspiration to brush and floss, seek out some Google images of severe untreated cavities. Not a pretty sight. Cavities result from the build-up of plaque – a sticky slimy substance composed mostly of bacteria. In breaking down sugar and carbohydrates, bacteria create acids, and these acids can eat away at the teeth. Cavities hurt when they get bigger and touch nerves. An untreated cavity can become a tooth abscess. So if you find a cavity, get treatment fast. About half of American adults over the age of thirty have some form of periodontal, or gum disease. Gingivitis, or inflammation of the gum tissue, is an early stage problem. With proper care, you can reverse it. But if you don’t, eventually the inflammation will lead to “pockets,” or little spaces between the teeth and gums. Bacteria love to colonize these pockets, which can lead to periodontitis: the permanent destruction of the tissues that connect teeth to bone in the mouth. Not good. Symptoms of periodontitis include swollen or discolored gums, tender gums, bleeding gums, receding gums, change in tooth sensation when eating, loose teeth, tooth loss, and bad breath. And as if that weren’t bad enough, when gums are inflamed and broken, harmful bacteria can enter the bloodstream more easily, leading to other chronic health problems. Periodontal disease is a risk factor for coronary artery disease. Why? We don’t really know for sure, but apparently gum disease doesn’t just signal inflammation; it also increases inflammation. And inflammation contributes to coronary artery disease. Interestingly, the same bacteria that colonize our gums have also been found in arterial-wall plaque. Periodontal disease can be treated with a procedure called root surface debridement. Root surface debridement, which is every bit as much fun as it sounds, involves tools that resemble torture implements, local anesthetic, hours wedged into a dental chair, and a huge bill. Note: This procedure doesn’t guarantee a successful outcome. Mucosal cells in our mouths turn over within three to seven days. So nutrient shortfalls or excesses will show up in mouth tissue before they show up anywhere else. Periodontal disease is associated with lower blood levels of vitamins and minerals. And getting enough of specific nutrients can be important to successful treatment. What do you need for healthy teeth and gums, and why? Here’s a handy chart. Protein Tooth structure, mucosal/connective tissue development, and immune function. Calcium Tooth structure; may enhance enamel remineralization. Zinc Mucosal/connective tissues and immune function. Antioxidants Mucosal/connective tissues and immune function. Folate Mucosal/connective tissues and immune function; low levels are associated with periodontal disease. Iron Mucosal/connective tissues and immune function. Vitamin A Mucosal/connective tissues and immune function. But be aware that getting too much from supplements may result in gum problems. Vitamin C Collagen maturation and to maintain the integrity of the periodontal ligament; mucosal/connective tissues and immune function. Omega-3 fats Mucosal/connective tissues and immune function; modulates the inflammatory response. Vitamin D Mucosal/connective tissues, immune function; may enhance enamel remineralization. B vitamins Epithelial cell turnover. A list of nutrients is all very well, but when you’re standing in the grocery aisle, you still need to know what actual food to buy. Want to go for bonus marks? Here are a few foods, nutrients, and/or supplements that may play a specific role in oral health. Probiotics may help to decrease gingivitis and plaque; bacteria in fermented foods might suppress the growth of pathogens in the oral cavity. One study showed that consuming fermented dairy was associated with less periodontal diseases. Probiotics from any source could be helpful in a similar way. Cranberries and other plant foods rich in anthocyanins (such as blueberries, red cabbage, eggplant peel, black rice, and raspberries) may prevent the attachment and colonization of pathogens on host tissues (including teeth). Some studies even show that cranberry extract-infused mouthwash improves dental health! Sure, we all knew about blueberries’ superpowers, but who knew that the humble bog berry could give you healthy teeth? For more on phytochemicals like anthocyanins, see The Power of the Phytochemical. Polyphenols have been known to reduce bacteria and toxic products of bacteria in the mouth. Tea also tends to be rich in fluoride, possibly the most well-known tooth strengthener. For more on tea’s benefits, see What You Should Know About Tea. Gum made with pine bark or sap has been shown to decrease plaque and bleeding gums. Great-Grandpa’s remedy really works! A diet that includes soy may help to reduce periodontal disease. This important amino acid may alter oral pH and reduce chances of cavities. Coenzyme Q10 is a substance similar to a vitamin. Our bodies need it to produce energy and it is found in every cell. Deficiencies may play a role in the development of periodontal disease. Research shows that these plants help to inhibit growth of periodontal pathogens in test tubes. But human studies are still lacking, so we can’t draw firm conclusions about their benefits. Try to get the nutrients mentioned above from whole foods. (Bonus: You give your teeth and gums a workout!) Unless you have a known deficiency, supplements should not be necessary. Keep in mind that if you’re a chronic dieter or you’ve had bariatric surgery, deficiencies are always more likely. Check with your doctor. The mineral fluoride helps to prevent decalcification in our bodies. In other words, it helps us absorb and use calcium effectively. It also acts topically on teeth to promote their surface health. Fluoride in saliva may help to promote remineralization of enamel. In obesity, excess adipose (fat) tissue often gets deposited in places where it shouldn’t be, such as the liver. Dental health is no exception. Obesity is correlated with adipose tissue being deposited as a lipoma (essentially, a tumour-like mass made of fat) into in the oral cavity, such as inside the lips or cheek (buccal mucosa), on the tongue, or into the salivary glands (sialipoma). It’s clear that controlling inflammation is important for oral health, and obesity is correlated with inflammation. This is why obesity is the second biggest risk factor for inflammation in the mouth. The only thing that’s worse for your oral health than being overfat is smoking. Why? Because high blood sugar, AGEs, changes in salivary pH, and pro-inflammatory compounds all tend to be present in those who are over-fat. Meanwhile, mucosal cells may also be more permeable (due to nutrient deficiencies or imbalances). The result? An increase in oxidants – those nasty free radicals that can damage our body’s cells. Additionally, body fat cells release inflammatory compounds. One common inflammatory marker associated with periodontal inflammation in folks with more body fat is orosomucoid. Meanwhile, orosomucoid is also a marker for malnutrition. Should that be a surprise? Maybe not, when you consider that many people become over-fat on a nutrient-poor diet. People who are over-fat are also at greater risk for diabetes, and diabetes, in turn, is associated with poor oral health. This is probably due to elevated blood sugar and its associated effects. Relationship between obesity and periodontitisSource: Boesing F, et al. The interface between obesity and periodontitis with emphasis on oxidative stress and inflammatory response. Obesity Rev 2009;10:290-297. Healthy eating patterns can improve oral health, changing the pH of the mouth’s environment. Meanwhile, the purging and malnutrition associated with disordered eating can seriously compromise oral health. Problems include enamel loss, lesions, dysfunctional salivation, swelling, and sensitivity. For more on disordered eating, see All About Disordered Eating. Our risk of periodontal disease goes up as we age. But the longer we maintain good oral health, the better our quality of life will be. It’s not clear what exactly causes oral disease with age. Theories include wear and tear on teeth/gums, medication use, financial changes (leading to less preventive treatment), other chronic diseases associated with oral health, and/or immunological changes. What is clear is that taking good care of our teeth and gums at every age is important. Eat more sugar, get more cavities, right? Wrong. In fact, one study showed no relationship between eating highly sugared breakfast cereals and developing cavities! Maybe the kids added a Listerine chaser. But here’s a more probable explanation: It turns out that the sheer amount of sugar we eat may be less harmful to dental health than the frequency of consumption. That’s why sugared sodas and energy drinks are so dangerous. Sipping sugar-containing beverages provides repeated hits of sugar on the teeth. Most sugary beverages are highly acidic, which promotes demineralization. Our mouth gets a double-whammy. Whether frequency or amount of sugar intake is key, one thing is for sure: A diet built around refined and processed carbohydrate foods can lead to tooth decay and gingival inflammation. How much is too much – and what kind? Added sugars appear worse for teeth than naturally occurring sugars. The World Health Organization suggests that no more than 10% of total energy intake should come from added sugars. So, if you ate 2000 calories per day, that would be 200 calories of added sugars, or 50 grams. Artificial sweeteners like sucralose (Splenda) and aspartame (Equal) don’t seem to promote periodontal disease or cavities. Sugar alcohols, such as xylitol or erythritol, don’t seem to influence oral health. Actually, chewing gum containing the sugar alcohol xylitol after meals may even decrease your risk of forming cavities. As for stevia, it doesn’t appear to have negative effects on oral health. But more research is needed here. Get your oral hygiene on. Seriously. Are you flossing yet? Are you brushing at least twice per day? If not, start. Brush your teeth, not only with fluoride-based toothpaste, but also baking soda-based toothpaste. The baking soda will raise the pH in your mouth, making it more alkaline and therefore decreasing risk of cavities. Avoid smoking. Smoking can wreak havoc on gum and tooth health. Drink green tea. Drinking green tea improves the health of your teeth and gums, as it decreases inflammation, makes your mouth more alkaline, inhibits the growth of cavity-causing bacteria, prevents tooth loss, may slow progression of oral cancer, and freshens breath by killing odor-causing bacteria. Wow! All this, and it can help you to lose fat, too. Chew xylitol gum after meals. Xylitol increases saliva production and prevents the bacteria in your mouth from producing the acids that cause cavities. But don’t go overboard, because even if sugar alcohols won’t harm your teeth, they can cause gas and bloating. Eat mostly whole, nutrient-dense foods that provide plenty of calcium, phosphorus, magnesium, vitamin K (especially K2) and vitamin D. Foods like leafy green vegetables, nuts, seeds, hard aged cheeses, plain yogurt, meats, natto, beans, mushrooms, fish, eggs, and organ meats all work here. Oh, and make sure you get some sunlight. Eat some raw, crunchy fruits and vegetables every day. Raw veggies clean your teeth to a degree (apples, carrots, bell peppers, etc). Eating an apple as dessert after lunch will help to remove material that has adhered to the surface of your teeth. Plus, apples contain naturally occurring xylitol. Limit added sugars from both foods and beverages. This includes soda, fruit juice, energy drinks, candies, etc. Energy drinks are particularly damaging as they combine a high sugar load with an incredibly acidic pH. If your diet is built around energy bars and energy drinks, you probably won’t have any teeth remaining on your 45th birthday. Increase the amount of arginine in your diet. Eat more spinach, lentils, nuts, eggs, whole grains, meat, seafood, and soy. Get regular exercise. Exercise seems to protect against periodontal disease. I get asked this one a lot. I have to admit, as someone with a sweet tooth, I’ve asked this question myself. I couldn’t write this article without first prefacing that, of course, having no candy at all is the “best” candy (except for dark chocolate). Just because a candy falls under the “best” category here doesn’t mean I’m condoning it — nor do I want to say that any candy in the “worst” category is something you should avoid completely. But not all sugar is created equally and some candies are less damaging to your teeth than others. The next time you indulge, make sure you know the steps you can take to minimize the damage to your teeth after eating something sweet. 1. Dark chocolate is the best candy for your teeth by a wide margin. Chocolate may be more effective than fluoride at fighting tooth decay, according to several studies, due to a compound in chocolate that helps harden tooth enamel. Compounds in cocoa beans also have an antibacterial effect that fights plaque. That’s why my patients get a dark chocolate square along with floss and a toothbrush in their goodie bag when they leave the office after appointments. 2. Sugarless gum and sugarless candies, such as candies with stevia or candies that diabetics consume. Sugar feeds bacteria and upsets the healthy ratios of pH and bacteria in the mouth, so a sugarless candy comes in as “second best” here. I’m still not a fan because whenever you see the sugarless label, the candy tends to have other bad chemicals in it that are detrimental to health in another way. 3. Candy bars with nuts. Candy bars with a lot of nuts can break up the stickiness, and it’s the stickiness of a candy that increases chance of cavity, so having nuts (and the protein/fiber that nuts provide) can break up the “badness” of the sticky parts of the candy. Nuts can also break up some of the biofilm of the teeth. My favorite “candy bar” which I’ve found to be tastier than my old favorite Payday and extremely low in sugar — around 5 to 6 grams depending on the flavor — are the KIND bars. My favorite flavor is Dark Chocolate Nuts & Sea Salt. 1. Anything Sticky. The stickier the candy, the worse it is — that’s Jujubes, Tootsie Rolls, etc. The effects of these sticky candies will linger because they stick around, increasing the chance for a cavity. The same goes for dried fruit, which is just as bad for your teeth because of the stickiness and concentration of sugar. Stick to real fruit, which is far less concentrated in sugar and is packed with fiber and water that keep you full. 2. Lollipops. That’s because when it comes to how bad a candy is for your teeth, frequency of exposure is more harmful than quantity. If you eat the candy quickly and brush your teeth and it’s over very quickly — as far as your teeth go (not talking about blood glucose systems and the effect on the rest of the body) it’s much better than sucking on a candy all day long, like in the case of a lollipop. Frequency of exposure increases chance of harm to teeth – but if you throw it down the hatch and brush and floss right after, damage to (teeth only) can be minimal. 3. Gummy worms, because they’re the most acidic. Acid is bad for your teeth because it wears down the tooth enamel, which protects your teeth. This makes it easier for teeth to become chipped or broken. Enamel also insulates the tooth. A lack of enamel can expose the nerves in your teeth, which are extremely sensitive to changes in temperature of the things you eat and drink. What helps me beat the holiday season of sweet treats is baking my own. Check out xylitol as a sugar replacement — I’ll be posting more baked goods recipes that use xylitol as we head into the holiday season. Thanks for two great years ! 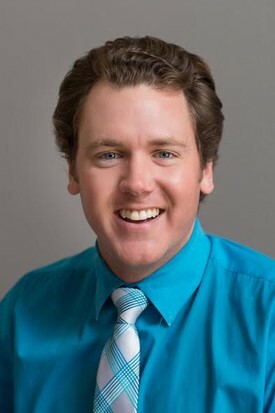 Dr. Andrew Baker has been a part of South Braintree Dental Associates for two years. He's following in the footsteps of both his father and grandfather making it a third generation practice. Andrew graduated from Tufts University School of Dental Medicine in the spring of 2014 and now is accepting new patients. He accepts most insurances. Please call today for an appointment! 781-843-3061. Two years. Sometimes, two years seems like a really long time, like when you are waiting to graduate with a degree or when you are waiting for a loved one to come home. Other times, two years seems like an instant. Time tends to pass quickly when we are enjoying the journey and not simply anticipating the destination. This has most certainly been the case for me. When I began to envision what my contribution to South Braintree Dental would be, I decided to create an environment that was unhurried, relaxed, comfortable, friendly, while delivering the absolute BEST quality dental care. Fortunately, the practice was staffed with a team of dental professionals who strived for that same patient experience. Together we were able to achieve our goals one patient at a time. How many times have you visited a dentist this year? Alright, you don’t have to tell me your answer. Most people don’t visit a dentist until they have severe problems in their oral area. I am also part of this group even if I don’t want to admit it. This is because most people are unaware of the importance and usefulness of a dentist. It is recommended that you visit a dentist at least twice in a year to keep your gums and teeth healthy. Dental visits are supposed to start at the age of 8 years when the permanent teeth are replacing the milk teeth. Nowadays, psychologists recommends that dental visits should start at the age of 1 to eliminate the fear of dentists at an early stage. Dentists normally work as partners and associate themselves to the bigger groups. While some of them work solely in private clinics, others work in the government, higher education, research programs or even in military. • Teeth cleanings and flossing. These are the 5 things that you probably don’t know about a dentist and how he can help you with your oral health. Cavities are the most widespread long-lasting disease of teeth and molars. This problem is created when you are careless in the cleanliness of your teeth. Regular cleaning and scaling of your teeth is necessary so as to prevent tooth decay. If you don’t properly clean your teeth, plaque (sticky layer containing bacteria) will be formed and dentist will remove this plaque by tooth scrapper. A dentist will floss your teeth and show you the right method to brush and clean your teeth at home. During flossing, a waxy thread is passed between unexposed places of your teeth to remove every food particle. You will have to bear major surgical treatments of your teeth if you choose to ignore minor issues in your oral cavity. It is not okay at all to go to a dentist only when you have severe pain in your teeth or when your gums are bleeding. A dentist will always remind you of your general teeth care even when your teeth area is perfectly okay and would give you useful advices on how to properly care for your teeth. As a matter of fact, oral hygiene training should be given at preschools to teach the young generation about importance of oral care. When required, a dentist will perform important treatments such as diagnostic tests for chronic diseases, biopsies and screening tests for oral cancer. A dentist will examine every type of disorder in your mouth area like lumps, ulceration, discolorations and inflammations and then treat them accordingly. It has been said that oral cavity and the nails are mirror to your internal health. Never ignore the little signs of your gums and teeth. Your dentist will help you to identify major issues like cardiovascular disorder and diabetes. The World Health Organization (WHO) recommends oral checkup as another way of chronic disease prevention. You can get to know about other major health problems by getting your teeth and gums examined by dentist. As a matter of fact, visiting a dentist may be considered uneconomical and time taking but at the end of the day, it is worth it. 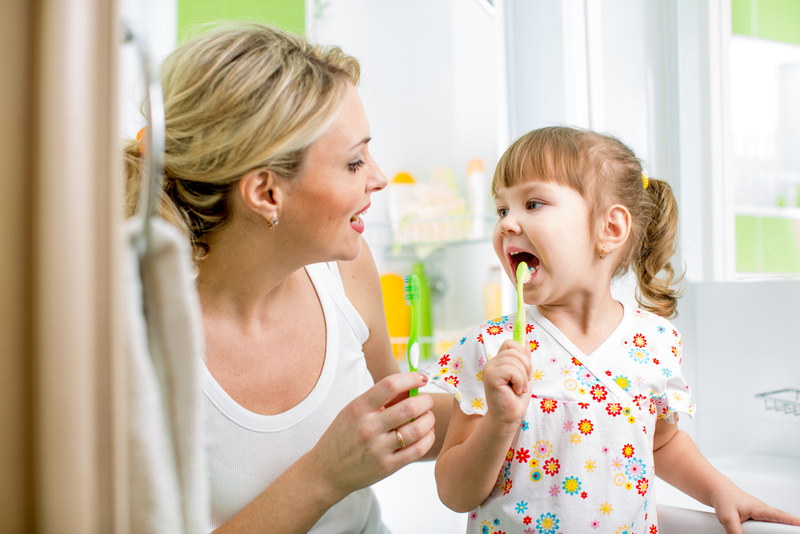 It is important that you take actionable steps and teach your children about oral hygiene. Don’t forget to spread the word. To floss, or not to floss? Boston dentists say there’s no question. Don’t stop flossing just yet. A much-circulated story by the Associated Press hints that the government seems willing to pardon our dental crimes — at least the crime of not flossing. Nevertheless, most dentists continue to swear by the practice. In an unexpected move, the 2015-2020 edition of Dietary Guidelines for Americans, produced by the US Department of Health and Human Services and the US Department of Agriculture, left out any recommendations to floss. This is the first year since 1979 that flossing has been omitted, the AP reported. The guidelines are written to align with “the current state of scientific evidence on nutrition and health.” So the AP looked at 25 studies from the past decade and found no comprehensive evidence to prove that flossing is beneficial. The government also noted that the efficacy of flossing had never been researched, the AP reported. Perhaps not surprisingly, many dentists are dissatisfied with the article’s conclusion. In a Tuesday press release, the American Dental Association upheld its recommendation to floss daily, citing plaque removal as a benefit. It’s one of the most universal recommendations in all of public health, but there’s little proof flossing actually works. Boston-area dentists agreed with the ADA. 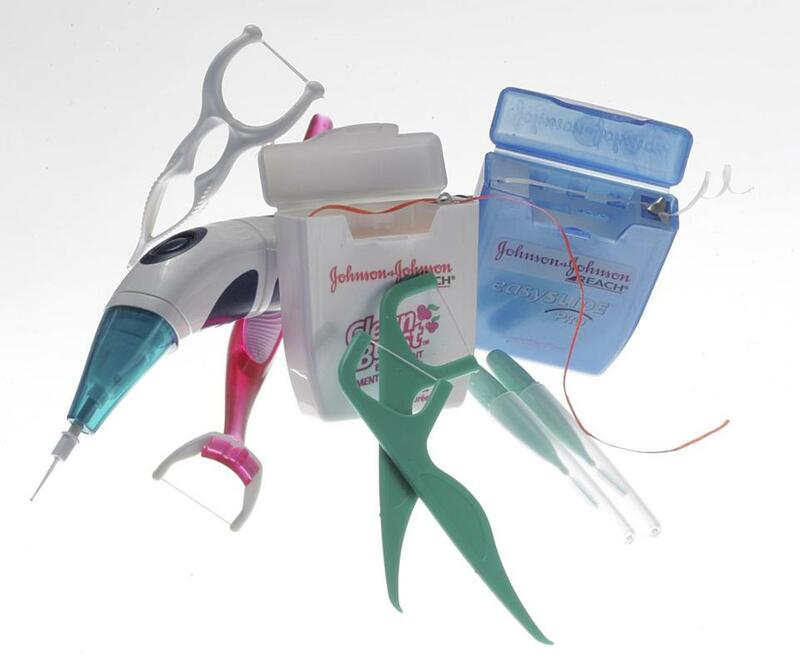 Dr. Julie Elpers, a prosthodontist practicing with the Dental Partners of Brookline, acknowledged a lack of research supporting the benefits of flossing, but said that doesn’t discount its effectiveness. “Absence of evidence isn’t evidence of absence,” Elpers said. Elpers added that the issue could instead be with the design of the scientific studies conducted over the past 10 years. Dr. Keith Foley, a dentist at Harvard Street Dental in Cambridge, took a different approach. Although the AP looked into 25 studies focused on the use of a toothbrush alone versus the use of a toothbrush and floss, Foley said there isn’t that much research conducted on dentistry, and that could have influenced the AP’s findings. Dr. Evangelos Papathanasiou, an assistant professor in the department of periodontology at the Tufts University School of Dental Medicine, will keep recommending floss to his patients but said he thinks there are more factors involved in preventing gum disease. “The future of dentistry and periodontistry involves providing more personalized dental care,” he said. Papathanasiou recently conducted his own research on the role that stress and the immune response play in causing gum disease. He said dentists must understand each patient’s needs and risk factors, and based on that information try to design a customized therapy regimen. Misconception: Baby teeth don’t matter because they are going to fall out anyway. Actually: Neglecting baby teeth can set a child up for lifelong dental trouble. Nearly a quarter of all children between the ages of 2 and 5 have cavities, a study at the Centers for Disease Control and Prevention found. What’s the big deal? some parents ask. Those teeth are going to fall out anyway. It may be tempting to skip brushing if a toddler puts up a fuss, or allow a picky eater to snack nonstop on their favorite carbohydrates — a recipe for cavities. But once the damage is done, it’s not as easy as pulling them out and waiting for the permanent lineup. Preschoolers who have cavities in their baby teeth are three times as likely as other preschool children to develop cavities in their permanent teeth, according to an often-quoted study published in the Journal of Dental Research in 2002. A 5-year-old’s oral health can even predict greater decay and disease at 26, especially for poor children, another study found. This may be caused partly by not brushing with fluoride twice daily and sipping sugary drinks over long periods. But it’s also because the bacteria that causes cavities, called caries, signify an infectious disease. So even if one decayed, brown-mottled tooth falls out, an infection may continue ravaging that child’s mouth. Another reason for restoring a decayed baby tooth is that, left untreated, it can become abscessed, at which point it lead to an emergency situation. At least 67 people in the United States died after being hospitalized with oral infections between 2000 to 2008. However, just pulling a decayed tooth can cause problems, because primary teeth are place holders for adult ones. In the absence of a place holder, adjacent teeth may drift into the space, blocking the growth of the permanent tooth. Call us today to enhance your smile ! New Patients are welcome and we treat children. Call today to book an appointment! South Braintree Dental has meet the dental needs of the South Shore for the past 64 years. Braintree Dentists , Dr. Richard and Andrew Baker are experienced dentists in Braintree, MA. Our dental practice in Braintree, MA was founded in 1950. We are conveniently located near Braintree, Randolph, Milton, Quincy, Weymouth and Holbrook. Bad breath, also known as halitosis, is breath that has an unpleasant odor. This odor can strike periodically or be persistent, depending on the cause. In many people, the millions of bacteria that live in the mouth (particularly on the back of the tongue) are the primary causes of bad breath. The mouth's warm, moist conditions make an ideal environment for these bacteria to grow. Most bad breath is caused by something in the mouth. Some types of bad breath, such as "morning mouth," are considered to be fairly normal, and they usually are not health concerns. The "morning mouth" type of bad breath occurs because the saliva that regularly washes away decaying food and odors during the daytime diminishes at night while you sleep. Your mouth becomes dry, and dead cells adhere to your tongue and to the inside of your cheeks. Bacteria use these cells for food and expel compounds that have a foul odor. Poor dental hygiene — Infrequent or improper brushing and flossing can leave food particles to decay inside the mouth. Dry mouth (xerostomia) — This can be caused by salivary gland problems, medications or by "mouth breathing." Psychiatric illness — Some people may perceive that they have bad breath, but it is not noticed by oral-health-care professionals or others. This is referred to as "pseudohalitosis." A dentist or physician may notice the patient's bad breath while the patient is discussing his or her medical history and symptoms. In some cases, depending on the smell of the patient's breath, the dentist or physician may suspect a likely cause for the problem. For example, "fruity" breath may be a sign of uncontrolled diabetes. A urine-like smell, especially in a person who is at high risk of kidney disease, can sometimes indicate kidney failure. Your dentist will review your medical history for medical conditions that can cause bad breath and for medications that can cause dry mouth. Your dentist also will ask you about your diet, personal habits (smoking, chewing tobacco) and any symptoms, including when the bad breath was noticed and by whom. Your dentist will examine your teeth, gums, oral tissues and salivary glands. He or she also will feel your head and neck and will evaluate your breath when you exhale from your nose and from your mouth. Once the physical examination is finished, your dentist may refer you to your family physician if systemic problems are the most likely cause. In severe cases of gum disease, your dentist may recommend that you be seen by a periodontist (dentist who specializes in gum problems). You will need diagnostic tests if the doctor suspects a lung infection, diabetes, kidney disease, liver disease or Sjögren's syndrome. Depending on the suspected illness, these tests may include blood tests, urine tests, X-rays of the chest or sinuses, or other specialized testing. How long bad breath lasts depends on its cause. For example, when the problem results from poor dental hygiene, proper dental care will begin to freshen the mouth immediately, with even more impressive results after a few days of regular brushing and flossing. Periodontal disease and tooth abscess also respond quickly to proper dental treatment. Bad breath resulting from chronic sinusitis may be a recurring problem, especially if it is caused by a structural abnormality of the sinuses. Bad breath the results from a systemic illness may be a long-term problem that can often be controlled with proper medical care. Bad breath caused by dental problems can be prevented easily. Daily maintenance calls for brushing your teeth, tongue and gums after meals, flossing, and rinsing with mouthwashes approved by the American Dental Association (ADA). Regular visits to the dentist (at least twice a year) should be made for dental examinations and for professional teeth and gum cleaning. Bad breath also can be combated by drinking plenty of water every day to encourage saliva production. An occasional swish of the mouth with water can loosen food particles. Other products that keep breath fresh and prevent plaque from forming include sugar-free gum, sugarless lozenges, raw carrots and celery. Call your dentist promptly if you have bad breath with painful, swollen gums that bleed easily or loose teeth. Also, call your doctor if you have bad breath along with a fever, sore throat, a postnasal drip, a discolored nasal discharge or a mucus-producing cough. Even if you have none of these associated symptoms, call your dentist or physician if your bad breath continues despite a good diet and proper dental hygiene. If you have diabetes, gastroesophageal reflux disease (GERD) or chronic liver or kidney disease, ask your doctor how bad breath can be a sign that your underlying medical condition needs immediate medical attention. Smartphone apps grant us the ability to achieve tasks at rapid speeds . Do You Lie to Your Dentist About Flossing? Written or medically reviewed by a board-certified physician. See About.com's Medical Review Policy. Are you one of the people who lies to their dentist during your check up? When they ask do you floss, is your answer "Yes!" when it should be, "Not ever" or "Sometimes?" You're not alone! According to a new survey on behalf of the American Academy of Periodontology (AAP), more than a quarter (27%) of US adults admit to lying to their dentists about how often they floss their teeth. Most people don't realize this but your dentist can tell that you are not being honest. Whenever your gums are bleeding, there is something going on in your mouth or body that needs to be addressed. In a healthy individual with healthy gums and teeth, gums will not bleed during brushing, flossing or even a dental cleaning. When your gums start to bleed it is an early warning sign that you may not be removing all the plaque and bacteria properly. The first thing you should do is visit your dentist. Sometimes a professional cleaning along with proper oral hygiene instructions is all you need. In some more advanced cases you may need additional treatment or even surgery to clear the infection. Gum disease is very common. One in two adults over age 30 suffers from some form of gum disease. In it mildest form, it is called gingivitis and is easily reversible with good home care and a visit to the dentist. Once it progresses to periodontal disease, the treatment and prognosis changes. The plaque and bacteria that surround the teeth and gum tissue produce toxins that break down the bone and surrounding tissue that hold your teeth in place. Even though rampant decay can cause you to lose several teeth at a time, usually with decay you have to restore or lose one tooth at a time. With periodontal disease, you can lose many or all of your teeth to the disease. Gum disease doesn't hurt so most people who have it don't realize they have an issue. Where decay can hurt giving you an early warning sign of problems to come. Think of it like this, gums and the bone surrounding your teeth are the foundation for your smile and oral health. If you don't take care of the foundation, you can lose the whole house. There are many factors that contribute to gum disease including, pregnancy, hormone fluctuations, medication, diabetes, smoking, and many more. Also there are many systemic diseases that are linked to gum disease including, cancer, heart disease, diabetes, low birth weight babies, etc. When your gums are bleeding the bacteria in your oral cavity can enter your blood stream and settle in different parts of your body (heart, artificial joints, placenta, etc) causing other problems. The most important part of keeping gum disease at bay is good oral hygiene. This includes flossing! Flossing helps remove the plaque and bacteria from hard to reach places that your toothbrush can't reach. Some people need to floss more than others, but everyone needs to floss at least once every 24 hours. If you suspect you may have gum disease, here are some warning signs. If you have any of these symptoms, go visit your dentist. Remember that gum disease is silent, meaning that by the time you have symptoms, the disease can be more advanced. Periodontal disease is a chronic infection in your body that your immune system is constantly fighting causing problems in the rest of your body as well as your mouth. If left untreated it can lead to tooth and bone loss. It is easily preventable in most cases and is a simple matter of good oral hygiene combined with regular dental visits. May Good Luck SMILE Upon you today! Happy Saint Patrick's Day from South Braintree Dental Associates. Family members tend to act similarly. Maybe your kids like the same foods as you, or perhaps they leave the cap off the toothpaste tube like your spouse. It’s no surprise that children have tendencies that resemble their parents or other family members – whether it is genetic or just a learned habit. So let’s discuss how family health habits can affect children’s habits once they reach adulthood. Eat Often – But Don’t Overeat. In a study done by the University of Massachusetts Medical School, people who typically eat 4 or more times a day have a 45% lower chance of becoming obese. This may seem contradictory – you eat more to stay thin? It’s important to remember that the food eaten in between traditional meal times are healthy. Limit Junk Food. Follow the “out of sight, out of mind” motto. If you don’t buy unhealthy food, they won’t be able to eat it. There’s nothing wrong with a fun treat every now and then – but make sure junk food is not a norm. In a study by the International Journal of Behavioral Nutrition and Physical Activity, results showed that parental exercise habits have a strong impact on the habits of their children. Children will develop habits that resemble those of their parents – depending on if they are physically active or not. If a child is introduced to healthy habits like exercising regularly in early childhood, they are more likely to carry on a healthy lifestyle in adulthood. While the data indicates that smoking isn’t primarily picked up from a family member, it is still a possibility. Our survey also determined that most students begin their smoking habits in high school when they are still living at home. It’s important to pay attention to who may be influencing your child to start smoking – whether it is their friends or an extended family member. 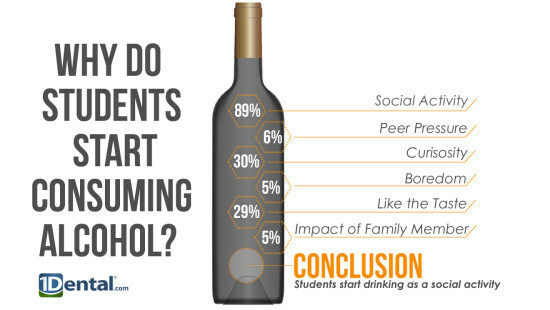 As opposed to picking up the habit from a family member, a staggering amount of students reported that they started drinking as a social activity. The survey results also indicated that a habit of drinking alcohol generally starts while students are at college, and not while they live at home. Some people have a disposition that makes them become more stressed than others. The habit of a person becoming stressed can have to do with many factors, beginning with environmental surroundings to their specific personality type (or how they process stressful situations). That being said, stress is not necessarily inherited in the genetic sense. A study published by Mammoth Magazine details how behavior caused by stress can be learned. For example, a child who is raised by a highly anxious person may indeed grow to act similarly. However, the child wouldn’t need to be their biological descendant to become prone to stress. Most likely, the behavior is caused by the environmental influences above the biological. The fear of dentistry is not rare by any means, as many people suffer from odontophobia (or dentophobia, but it is possible it is a phobia picked up from another family member. There are typically two factors that can cause a phobia: family genetics and the environment. Children may develop dental anxiety if their parent or close relative has it. 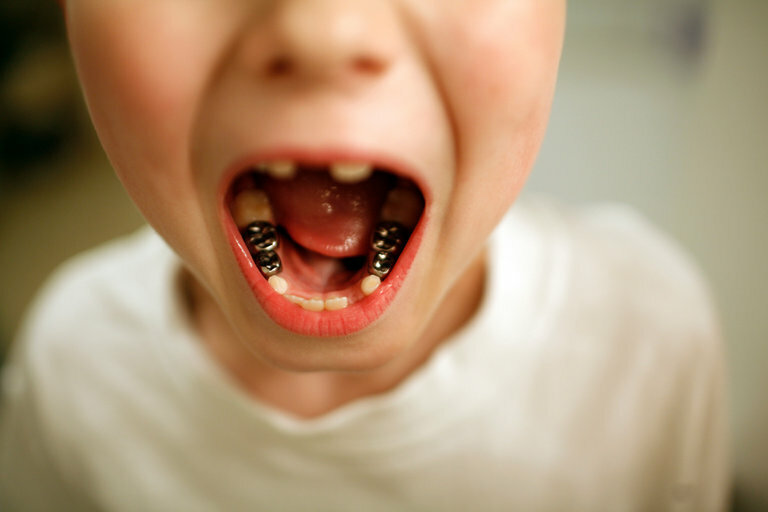 Additionally, if a child has a negative association of some kind with dentistry, that could be the cause of a phobia. 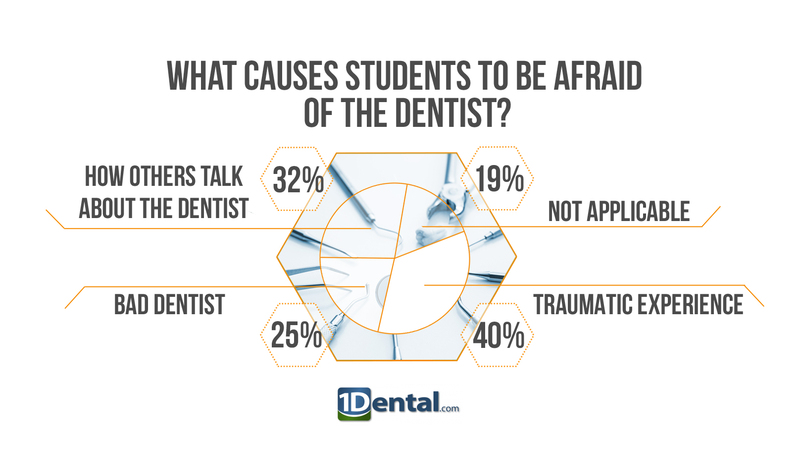 It’s important to note that while most people’s fear was developed from a traumatic experience, the next group of people reported that their fear came from how family members or friends talked about going to the dentist. Just like your kids might have brown hair if you do, they can actually inherit different tooth qualities from you, as well. This can include the way teeth are shaped, how good their bite is and can even determine the strength of tooth enamel. 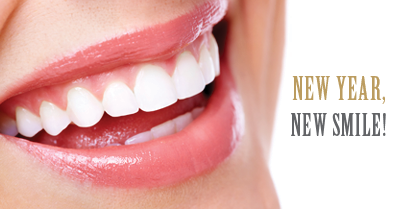 Enamel is the protective coating around a tooth that prevents cavities. Certain actions can weaken the tooth enamel, making teeth more susceptible to cavities or tooth decay. Some people’s teeth, however, naturally have a thinner layer of enamel, which is a trait that can be passed to their children. Take good care of your teeth daily. Visit the dentist regularly (twice a year at the least). The habits that your family create and maintain could shape the way your child behaves in adulthood. Make sure you are setting them up for success by implementing healthy habits that will benefit their health overall. How has your family health habits impacted your child? How were you impacted by your family? We’d love to hear your thoughts and stories in the comment box. Call us today to book an appointment. New Patients are welcome and we treat children. Contact us today! Call today to book an appointment! South Braintree Dental has meet the dental needs of the South Shore for the past 64 years. Braintree Dentists , Dr. Richard and Andrew Baker are experienced dentists in Braintree, MA. Our dental practice in Braintree, MA was founded in 1950. What Is The Best Time to Floss—Before or After Brushing? 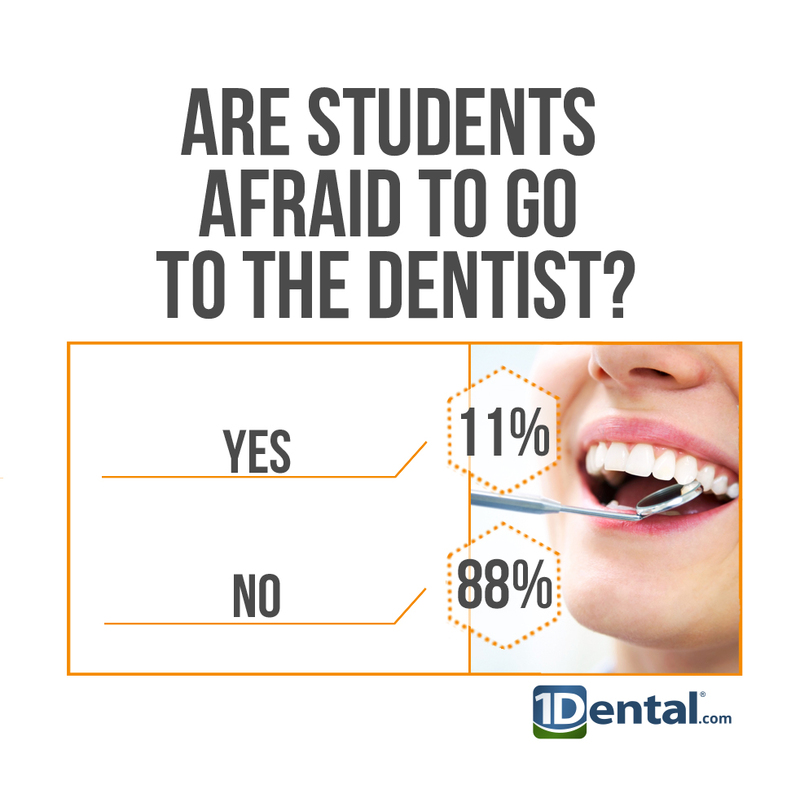 A Spring 2015 MouthHealthy.org poll asked readers if they brush before or after they floss. The results were close: 53% said they brush before, while 47% said after. So who’s right? Technically, everyone. The most important thing about flossing is to do it. As long as you do a thorough job, it doesn’t matter when. Pick a time of day when you can devote an extra couple of minutes to your dental care. People who are too tired at the end of the day may benefit from flossing first thing in the morning or flossing after lunch. Others might like to go to bed with a clean mouth. Keep in mind that flossing should not be painful. If you floss too hard, you could damage the tissue between your teeth. If you’re too gentle, you might not be getting the food out. It’s normal to feel some discomfort when you first start flossing, but don’t give up. With daily brushing and flossing, that discomfort should ease within a week or two. If your pain persists, talk to your dentist. Before the visit, ask the dentist about the procedures of the first appointment so there are no surprises. Plan a course of action for either reaction your child may exhibit – cooperative or non- cooperative. Very young children may be fussy and not sit still. Talk to your child about what to expect, and build excitement as well as understanding about the upcoming visit. Bring with you to the appointment any records of your child's complete medical history. Many first visits are nothing more than introductory icebreakers to acquaint your child with the dentist and the practice. If your child is frightened, uncomfortable or non-cooperative, a rescheduling may be necessary. Patience and calm on the part of the parent and reassuring communication with your child are very important in these instances. Short, successive visits are meant to build the child's trust in the dentist and the dental office, and can prove invaluable if your child needs to be treated later for any dental problem. Child appointments should always be scheduled earlier in the day, when your child is alert and fresh. For children under 36 months, the parent may need to sit in the dental chair and hold the child during the examination. Or, parents may be asked to wait in the reception area so a relationship can be built between your child and the dentist. The dentist should be able to answer any questions you have and try to make you and your child feel comfortable throughout the visit. The entire dental team should provide a relaxed, non-threatening environment for your child. Children, like adults, should see the dentist every six months. Some dentists may schedule interim visits for every three months when the child is very young to build up a comfort and confidence level or to treat a developing problem. How can I protect my child's oral health at home? As soon as the first teeth come in, begin brushing them with a small, soft-bristled toothbrush andwater. If you are considering using toothpaste before your child's second birthday, ask your dentist first. A smile is the boldest statement that you can make without saying a word. Call us today to book an appointment! We are accepting new patients!. South Braintree Dental has meet the dental needs of the South Shore for the past 64 years. Braintree Dentists , Dr. Richard and Andrew Baker are experienced dentists in Braintree, MA. Our dental practice in Braintree, MA was founded in 1950. Bad breath happens to almost everybody, even to people who don’t care to admit it. While chronic bad breath (also known as halitosis) might have more serious causes, occasional bad breath can be prevented fairly easily with good oral care. In the majority of cases, bad breath is caused by the presence of oral bacteria1. Bacteria can form on the tongue when you forget to brush properly, become dehydrated, or have dry mouth due to medications you may be taking that reduce saliva in your mouth. However, you can take these easy steps to help keep your tongue free of bacteria and your breath feeling fresh. Brush your teeth for two minutes twice a day with an Oral-B Electric Toothbrush to remove plaque bacteria. Follow up with a good tongue brushing. Pay special attention to the back of your tongue, where most odor-causing bacteria are found. Floss effectively to help remove food particles. If reaching back teeth is difficult, a floss holder can help. Round out your routine with a mouthwash that fights bad breath to keep your mouth at its freshest. Drink plenty of water to stay hydrated. The amount of water you need will vary based on your daily activity level and the number of medications you take that cause dry mouth. Chew sugarless gum to stimulate saliva production. Eating a mint is a temporary but less recommended method for breath freshening because it can leave a sugary residue behind. Chronic bad breath may be a symptom of a more serious condition, so you should consult a dental professional or medical professional. Consider limiting behaviors that can intensify bad breath, such as drinking alcohol or smoking. Oral-B Electric Toothbrushes take away the guesswork to ensure you get a thorough clean every day. Ready to make the switch? Find the right Oral-B Electric Toothbrush for you. Give us a call to book a dental appointment! South Braintree Dental Associates is a third generation dental practice founded in 1950 which has continually met the dental needs of Braintree, MA families for the past 64 years. 1. Go on a white-teeth diet. If you're quaffing red wine and black tea, or smoking cigarettes or cigars, expect the results to show up as not-so-pearly whites. Other culprits to blame for dingy teeth include colas, gravies, and dark juices. Bottom line: If it's dark before you put it in your mouth, it will probably stain your teeth. Brush immediately after eating or drinking foods that stain teeth and use a good bleaching agent, either over-the-counter or in the dentist's office. For convenient teeth-cleaning action, eat an apple. ...or change the head of your electric toothbrush at least every two to three months. Otherwise, you're just transferring bacteria to your mouth. According to Beverly Hills dentist Harold Katz, D.D.S., the best way to brush is by placing your toothbrush at a 45-degree angle against your gums and gently moving it in a circular motion, rather than a back-and-forth motion. Grip the toothbrush like a pencil so you won't scrub too hard. Use a tongue scraper every morning to remove tongue plaque and freshen your breath. One major cause of bad breath is the buildup of bacteria on the tongue, which a daily tongue scraping will help banish. Plus, using a tongue scraper is more effective than brushing your tongue with a toothbrush, says Dr. Katz. 5. Gargle with apple cider vinegar. 8. Practice flossing with your eyes shut. 9. Brush your teeth when you first get out of bed and before you get back in at night. They're the two most crucial times, says Kathleen W. Wilson, M.D., an internist at the Ochsner Health Center in New Orleans and author of When You Think You Are Falling Apart. That’s because saliva (which keeps cavity-causing plaque off teeth) dries up at night, so it’s best to have all plaque cleaned off the teeth before sleep. It’s also important to brush first thing in the morning to brush off plaque and bacteria (morning breath!) that may have built up as you slept. Call today to book an appointment! South Braintree Dental has meet the dental needs of the South Shore for the past 64 years. Braintree Dentists , Dr. Richard and Andrew Baker are experienced dentists in Braintree, MA. Our dental practice in Braintree, MA offers same day crowns. We are conveniently located near Braintree, Randolph, Milton, Quincy, Weymouth and Holbrook. 5 Things You Don’t Know About A Dentist!